Home Events BC Ground Disturbance Seminars! For companies who disturb the ground in any way, our BC Ground Disturbance Seminar is important. 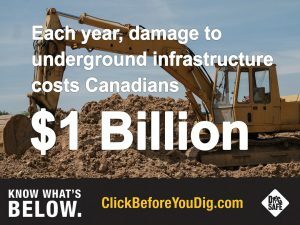 We all want to stop hits on underground infrastructure and keep you, the public and the environment safe. 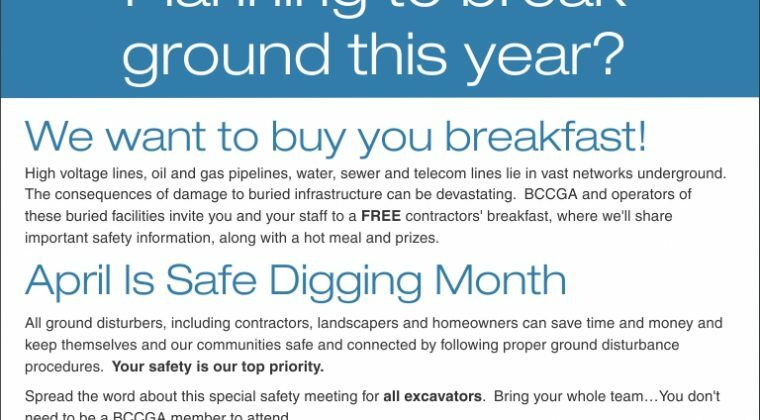 Tuesday November 21, 2017 ~ FortisBC, Surrey Office –> SOLD OUT! To register call Global Training Centre at 1.855.321.3211 or or online at www.globaltrainingcentre.com. Price is $145. Attendees will receive 0.6 CEU’s through EOCP and BC Housing 7.25 CPD Points. We have booth space available for $100 at all sessions – contact Global Training to secure your space.